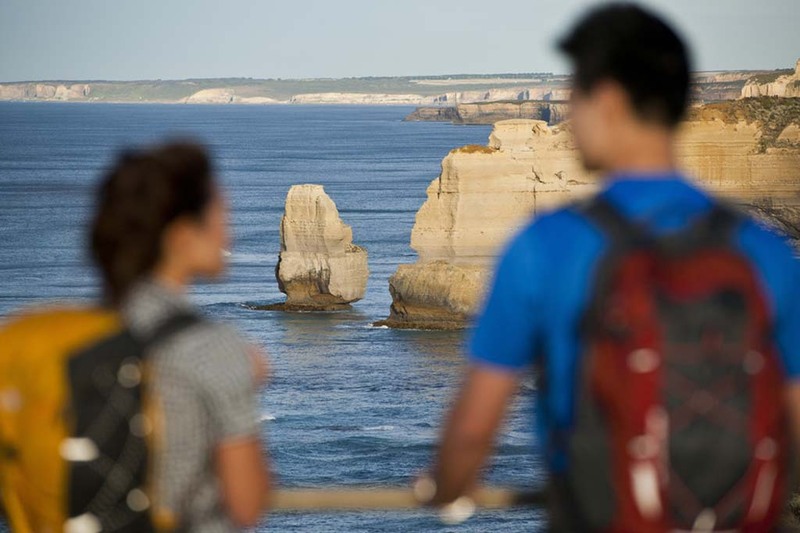 Six Day Great Ocean Walk, Bus Itinerary - Apollo Bay to the 12 Apostles. Bus transfers are provided as listed below, you book and pay for your own accommodation and food. The bus departs from and returns to the Apollo Bay Information Centre. Pick up times are fixed as listed below. (Please note that sometimes this bus may be fully booked or not available. Please check the dates advertised before you book your accommodation in Apollo Bay). Your lighthouse ticket is included. 2pm Transfer to Shelly Beach. 2.15pm You walk back into Apollo Bay and your accommodation. Please PRINT these pages off and bring them with you to refer to whilst you are walking. We strongly suggest you buy an Official Great Ocean Walk Map if you have not already purchased one. If you arrive at the meeting spots before the allocated bus times you must wait until the advertised departure times. We recommend that you prepare/ train for the walk (it can be difficult if you are not fit) and to study the times and km's allocated each day. Only book this bus service if you are confident that you are walking within your means and can meet the bus at the advertised pick up times each day. Our bus times are conservative however and based on a person walking approx 3-4 km per hour carrying only a small day pack. Please read our terms and conditions.